Come see this Hilton Homes quality built attached bungalow with fully finished basement offering over 2300 SF of finished space. Beautiful open kitchen with vaulted ceilings overlooking the great room and dining area. Kitchen comes with all appliances including Maytag pullout freezer and built-in ice maker fridge. Master bedroom hosts full ensuite and walk in closet. Nicely designed with stylish choices and colours throughout. 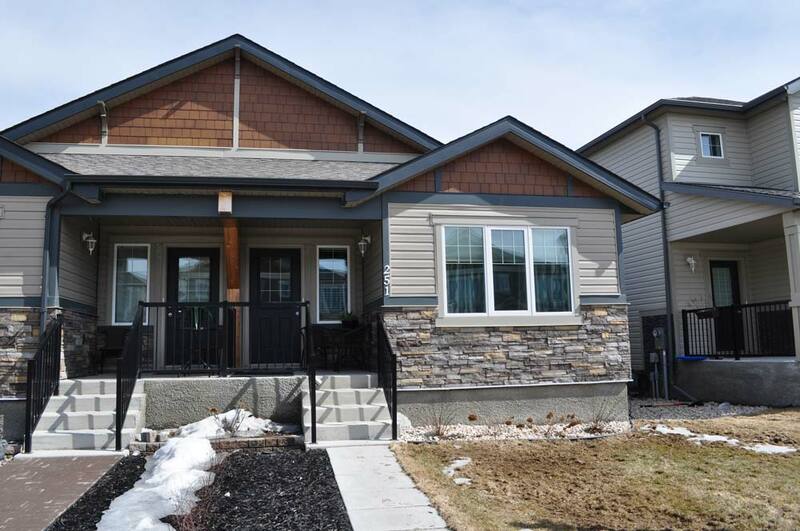 This 2015 build is complete with double car garage and the basement was fully finished with 3rd and 4th bedrooms, full bathroom and a generous rec room with built-in shelves and designed for theatre like entertainment.